Personalized learning is an educational framework designed around a competency-based system of learning, where students progress based on mastery of standards rather than in-seat hours or credits earned. Personalized learning creates a classroom environment that engages and accelerates learning for all students, so they are ready to contribute in a globally-competitive economy. Transparent curriculum and standards. The knowledge and skills students must learn as they progress through developmental levels to high school graduation are open and clear to everyone. 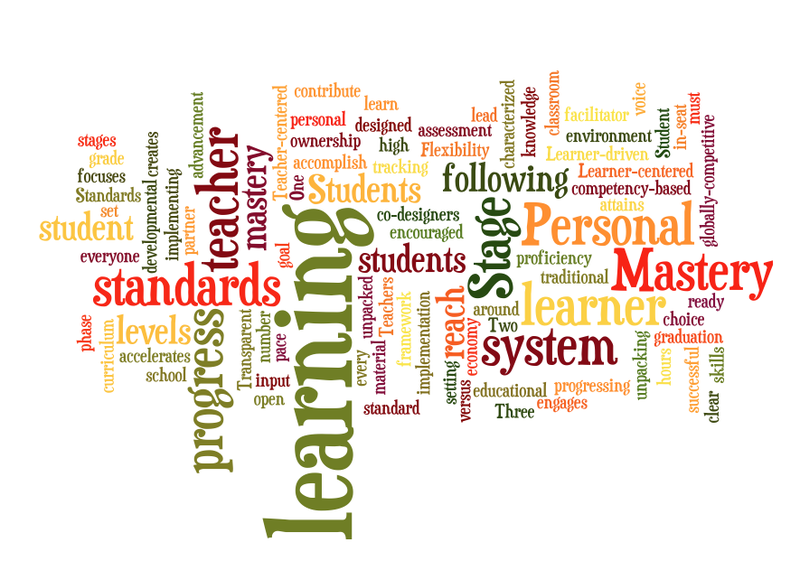 Standards are unpacked with the student and the student has input into how they accomplish the standard. Flexibility. Students are encouraged to reach proficiency in the learning material at their own pace, progressing through the levels to reach mastery of the learning standards.